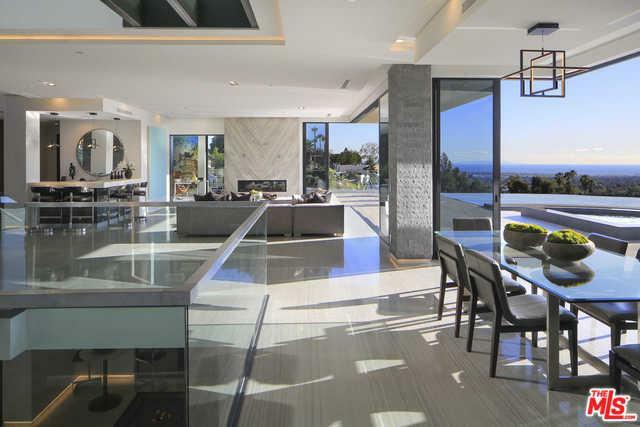 Overlooking the Pacific Ocean and The Getty Center with jetliner views, this just completed architectural showpiece in prime Bel Air is the perfect combination of innovative design and timeless sophistication. Beyond the homes gated, 21 foot double height entry, a light filled open floor plan is replete with spacious living spaces and Fleetwood sliding doors that blur the line between indoors and out. Amenities include a soaring great room, chef-caliber kitchen, movie theater, bars, elevator & 5 car auto gallery. Upstairs holds 5 of the 7 bedrooms including the luxurious master suite with a sitting room, showroom closet, and outdoor lounge with city-to-ocean views. Masterfully designed for entertaining, the incredible backyard features a sprawling lawn with a weeping waterfall, outdoor kitchen and 66 foot infinity edge pool and spa with a Baja shelf and swim up bar. 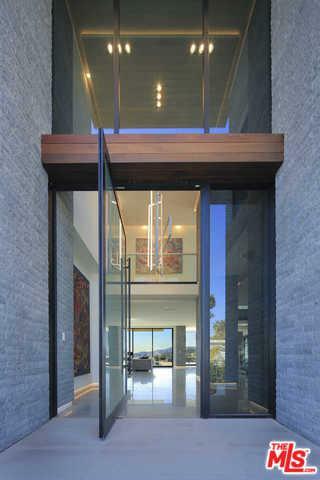 Complete with Control 4 home automation, a steam room, dry sauna, and 430 bottle wine display. Listing provided courtesy of James Harris of The Agency.